This is a cut and paste activity. 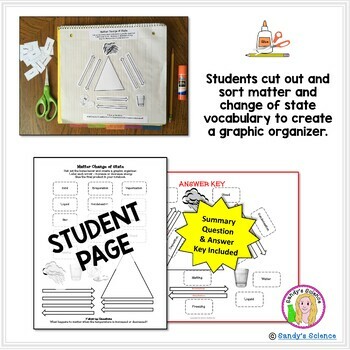 Students use matter and change of state vocabulary to create a graphic organizer. 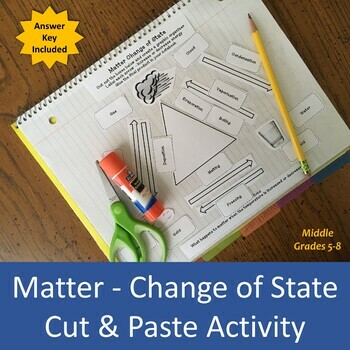 I use this activity as part of an interactive notebook.